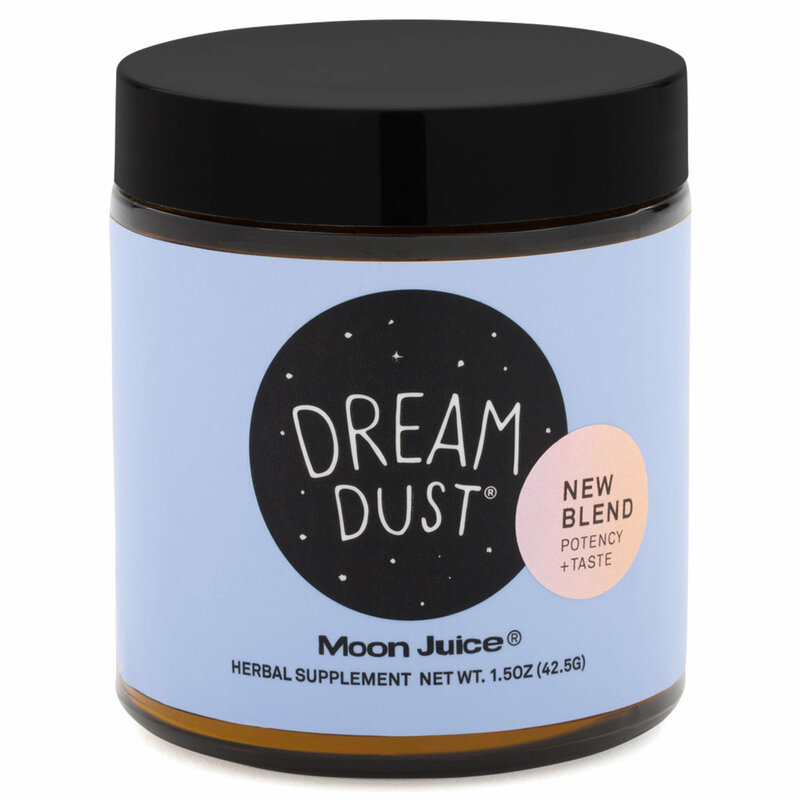 Dream Dust is an adaptogenic blend of tranquil super herbs and Chamomile Flower that help combat the effects of stress to soothe your tension for deep, nocturnal rest. Stir into warm golden milk (nut milk and turmeric), or with herbal tea before bed. Get Dusted! I like to mix Dream Dust with some warm milk and just a dab of raw honey and blend it with a hand-held frother. It has a pleasant slightly-earthy flavor and the honey definitely helps round it out a bit. It helps me relax, quiet my mind, and get me ready to drift off to sleep, helped by both the aromatic flavors and the ritual of mindfully sipping the warm drink. There can be a few 'bits' that accumulate towards the bottom of the cup instead of blending in, but it doesn't bother me. This won't knock you out all night, but helps your sleep get off to a good start.